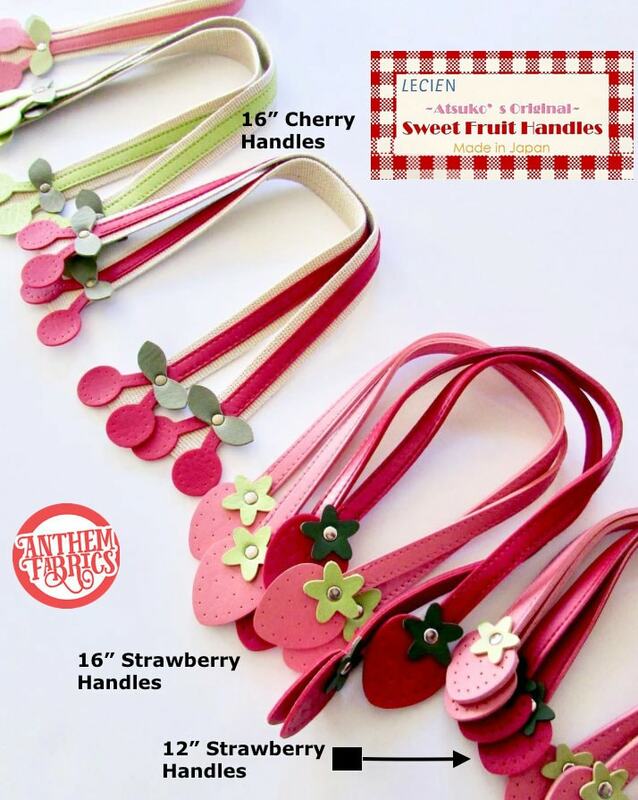 Atsuko Matsuyama’s Original "Sweet Fruit" Handles! 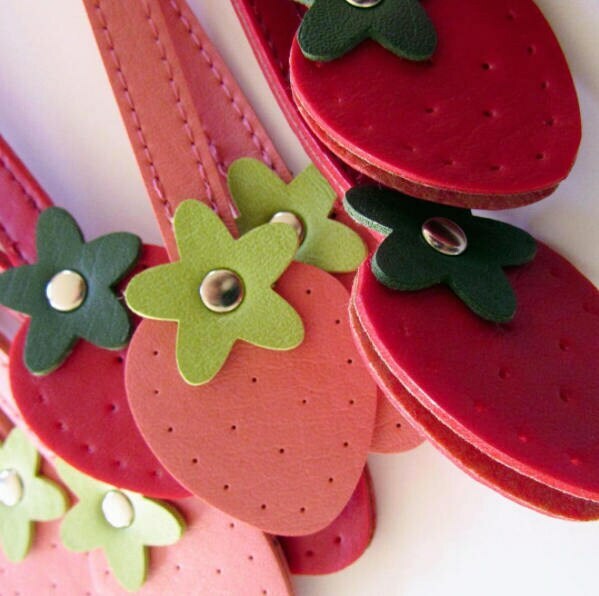 12-inch (30 cm) strawberry handles, 1 pair ( 2 ct). 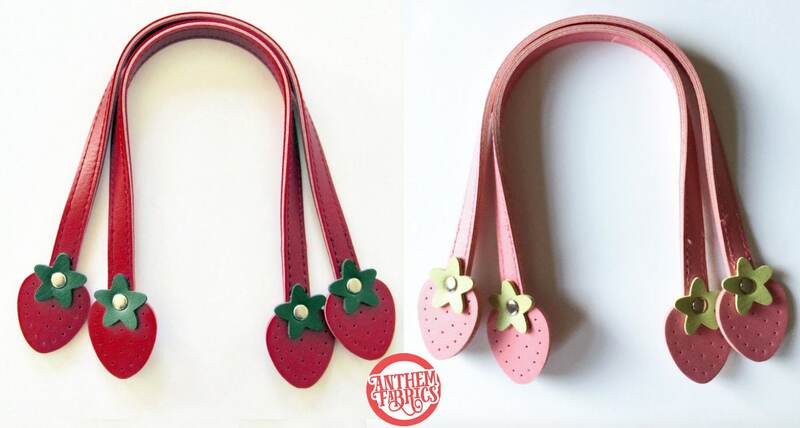 Material: Polyvinyl handles, metal studs. 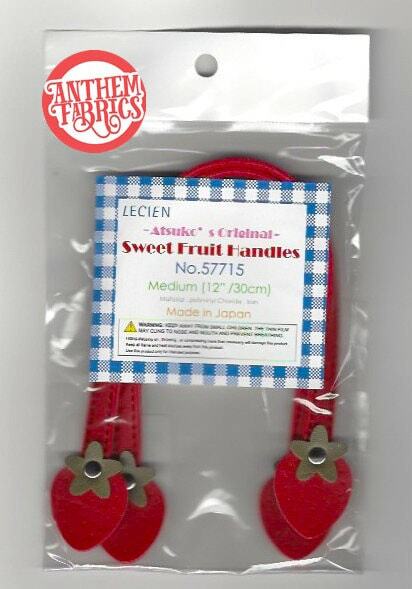 Image #3: Bag designed by Atsuko Matsuyama using medium 16-inch “Sweet Fruit Handles!! 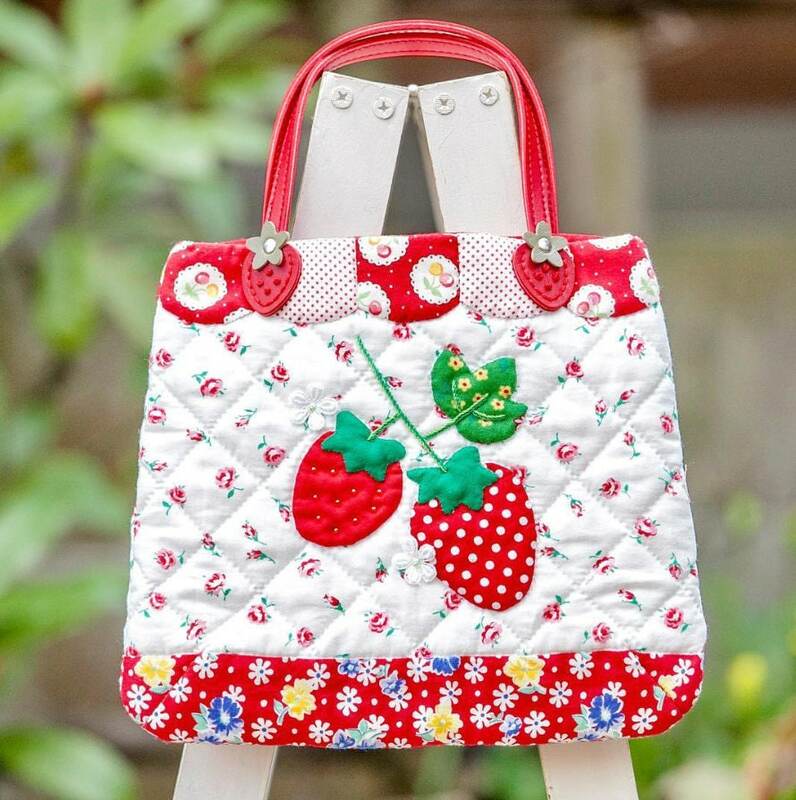 Pattern not included in the pack. Limited edition and will be sold very limited time! Please refer to the list then select from the drop-down menu. 1. FH#20 Pink with lime green stem. 2. FH#30 Red with sage green stem.